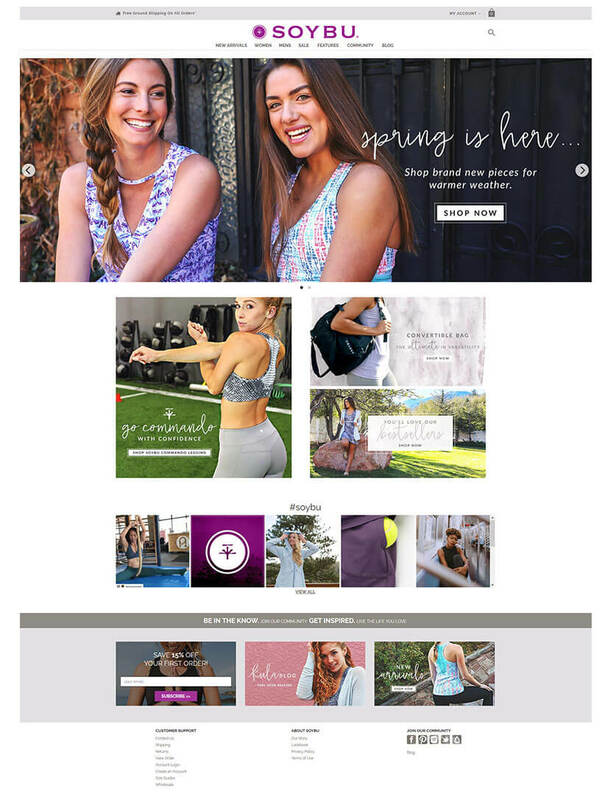 Active Fashion Group serves as an umbrella brand for well-known brands such as Soybu, Gracie, Colorado Clothing, Tranquility and Lola and is rooted for almost 2 decades in the US market. Active Fashion Group designs and distributes superior and innovative active lifestyle apparel brands, and is a leading Manufacturer and distributor of lifestyle apparels. eGlobe is partnering with Active Fashion Group for the on-going development activities for their online store www.soybu.com along with www.coloradoclothing.com for over 3 years in a row, where we have initially fixed all the issues with their then existing sites and has since developed their current designs and maintains their sites in an on-going manner. Want to increase your business sales with an ecommerce website? Contact our dedicated team that is always ready to give you a free consultation, deliver a proof-of-concept and to transform your requirements into a fine-tailored Magento solution for next generation commerce.